Ordo Ab Chao has been involved with the psy trance scene since the early 90’s, when he started exploring the parties in his hometown Athens. He is been Djing and organizing open air parties in beautiful locations around Greece since the late 90’s. In 2000 he started traveling around Asia where he visited the birth dancefloors of psychedelic music in Goa and other hot spots. He was fortunate enough to experience, live and DJ there for 10 years, where he crossed paths with other like minded artists and DJs from all over the globe. 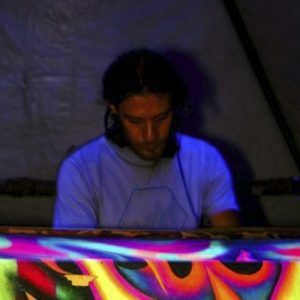 In the past years he has built a reputation of his own and has become one of the most respected DJs, by mixing high quality psychedelic tunes and always keeping the audience dancing to ecstatic rhythms and exchanging unique vibes with them. Through these experiences he enriched his creativity and after years of Djing the need to create his own sound under the project of Ordo Ab Chao, was born. His debut release “Regenerate” was out in 2011 and the future seems rather promising. Nowadays he works on many tracks in his solo project and on other collaborations, so you can expect some fresh trippy tunes soon. He is highly influenced by traveling around, meeting people and cultures and he is trying to imprint that in his music and DJ sets.